Weekend Eats | Run, Lindsay, Run! After the cold, dreary, rainy day we had here in NYC yesterday, I was sure glad to awake to sunshine and birds chirping (really!) outside my window. Looks like it’s about 40 degrees out today, which feels like spring these days. Despite the crummy weather and sluggish feelings, I hit a total of 50 miles last week. I know I need to get in another week or two at this level before I start feeling strong. 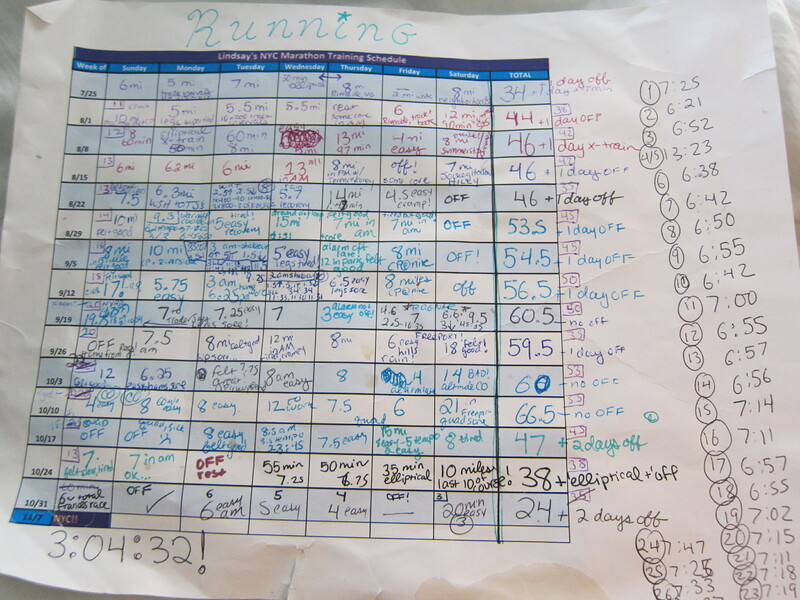 I added in a “Training” tab up above; right now it only shows my running log leading up to the 2010 NYC Marathon, as I typically log my workouts old-school paper style [below] and my current training log for the NYC Half-Marathon is at work. Coming soon! It may not be the most detailed as it’s a bit hard to decipher my chicken-scratch. I know I like reading others workouts and mileage for upcoming races, and wanted to share mine, too! It was helpful especially when I was creating my plan for my first marathon, since I had no idea how much to run! On Friday night, I enjoyed NYC Restaurant Week Dinner at Nobu Next Door with 4 girlfriends! I ordered the Rock Shrimp Tempura with Creamy Spicy sauce for an appetizer (so good!) and enjoyed the Beef Toban Yaki (sizzling beef) for my entree– gettin my iron in! The dessert was a bit disappointing, it was a chef’s selection which was some weird tangerine/cream gel? I am typically a fan of fruity desserts and this just did not hit the spot for me. Also had a great cocktail with dinner. Fun night out with the girls, filled with delicious food! I’d definitely go back. Apparently they are extending NYC Restaurant Week until Feb 27th, so I may make another reservation or two. I also dined at Riverpark and Asia de Cuba for Restaurant week this winter- both were fantastic and highly recommended if you’re looking to make a reservation. 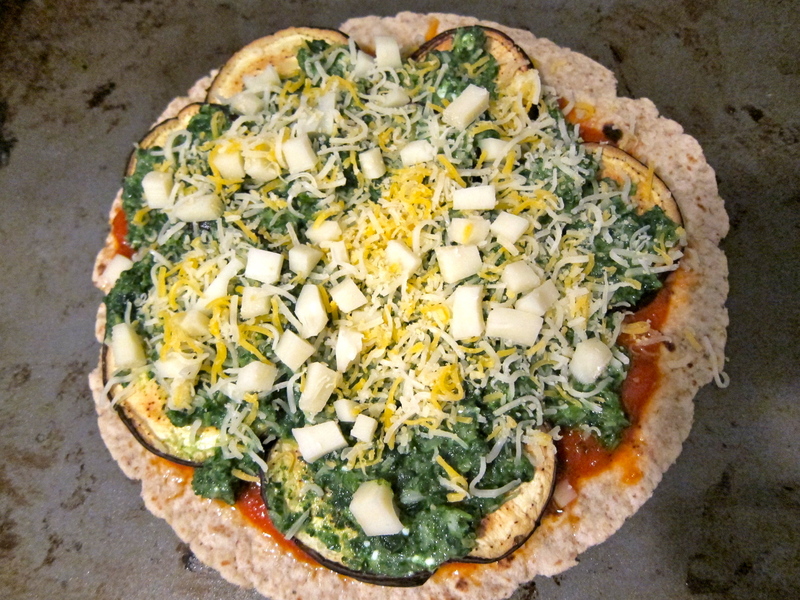 I decided I wanted to share some delicious eats I created yesterday…apple cinnamon oatmeal and eggplant spinach tortilla pizza. I admit, I kinda like photographing my food and making it pretty, but it does take a bit of extra time and I get hungry quickly. To all my instant oatmeal friends, I’m sorry. I hate instant oatmeal. My mom always cooked us old fashioned oats over the stovetop and now I do the same. I find old fashioned oats have so much more texture and oomph to them! Instant oats pale in comparison. This recipe is pretty simple! Cook 3/4 cup old fashioned oats with 1.5 cups water in stovetop. Let cook about 5 minutes, stirring, until water begins to absorb. Take one apple and cut it up into tiny pieces (I used my small food chopper to make them almost minced?) and stir into oats. Continue to cook until it’s thick, and pour into bowl. 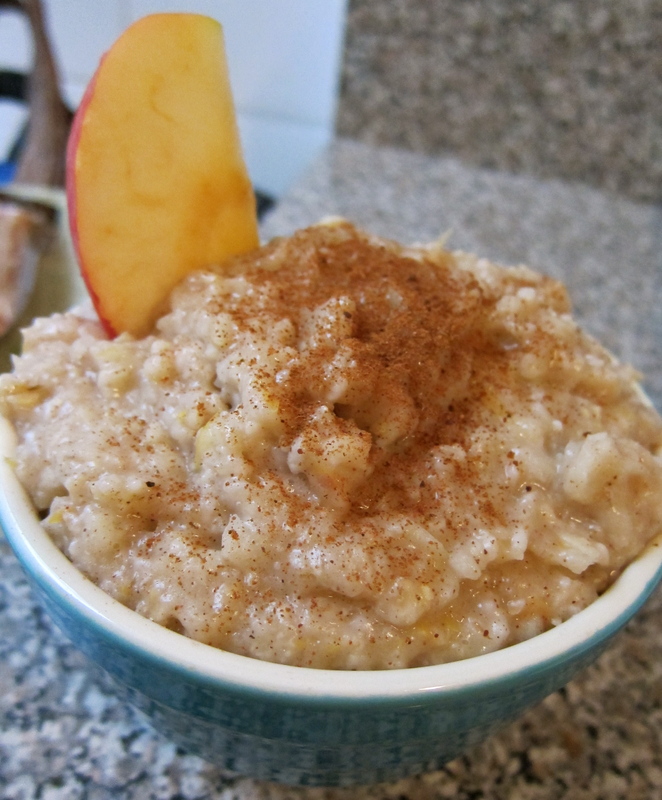 Add cinnamon and nutmeg to your taste. Enjoy! 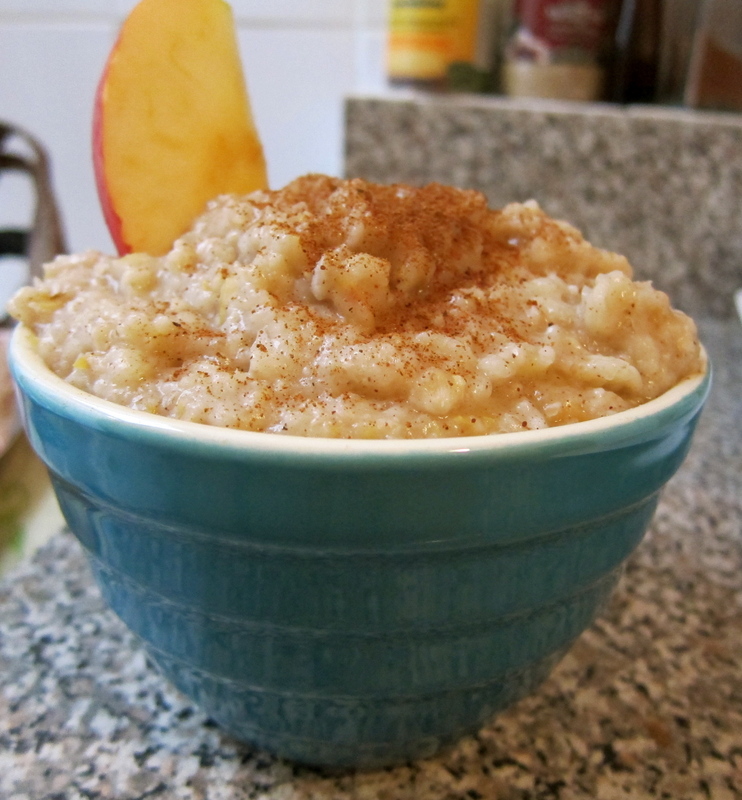 This recipe is naturally sweetened from the apple, I didn’t even have to add any sugar. Yeah, this probably needs a new name. Any thoughts? Take eggplant and chop into 1/4 thick round discs. Place on baking sheet, sprinkle with salt and place in oven at 400°; bake until brown, flip and bake on other side until brown. 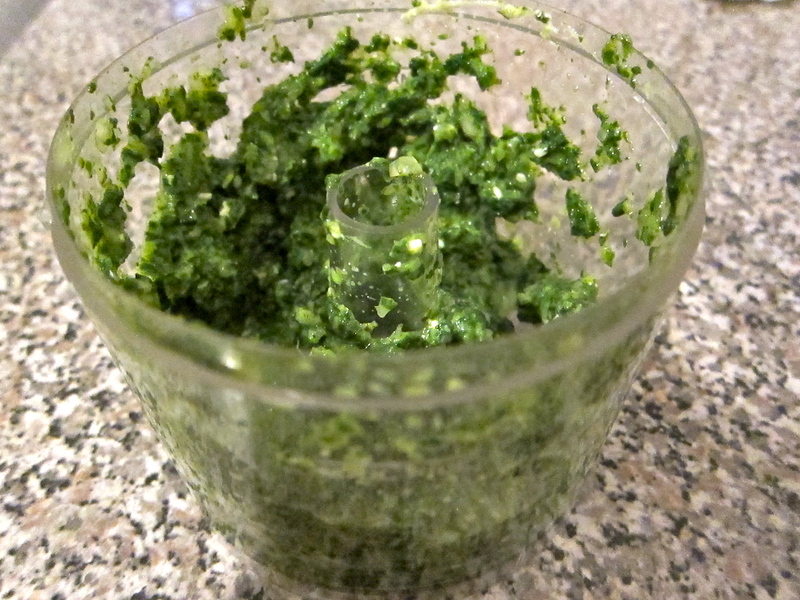 Combine basil, garlic, onion, and spinach in food chopper/processer, like below. I also added in a handful of cheese. This creates a ‘creamy sauce’ you can spread on later. Now, get all your ingredients ready. 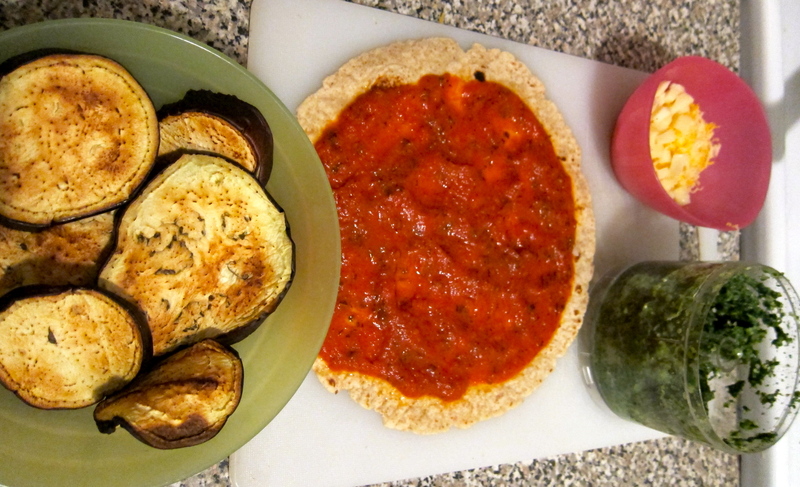 Take your baked eggplant out of the oven once it’s ready, spread your tomato sauce on your pizza, and begin to top! 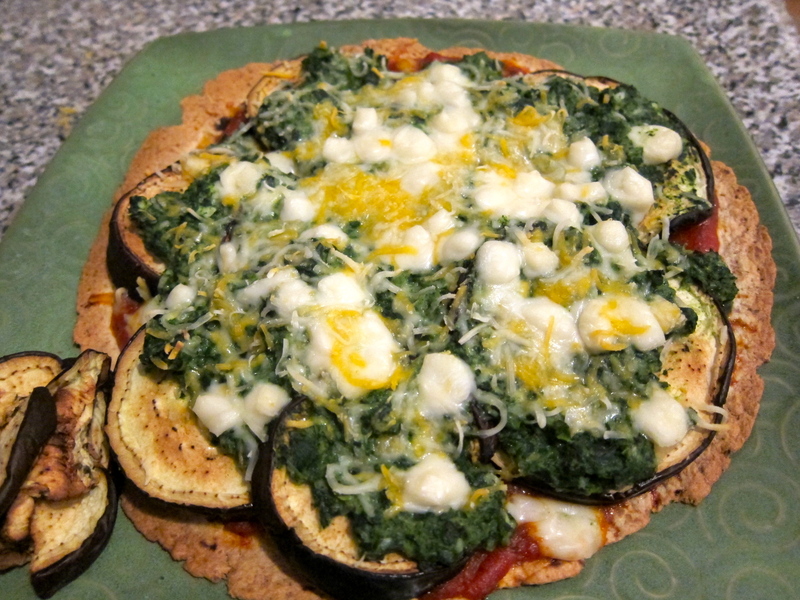 First I placed the eggplant rounds on the pizza, covering the sauce. 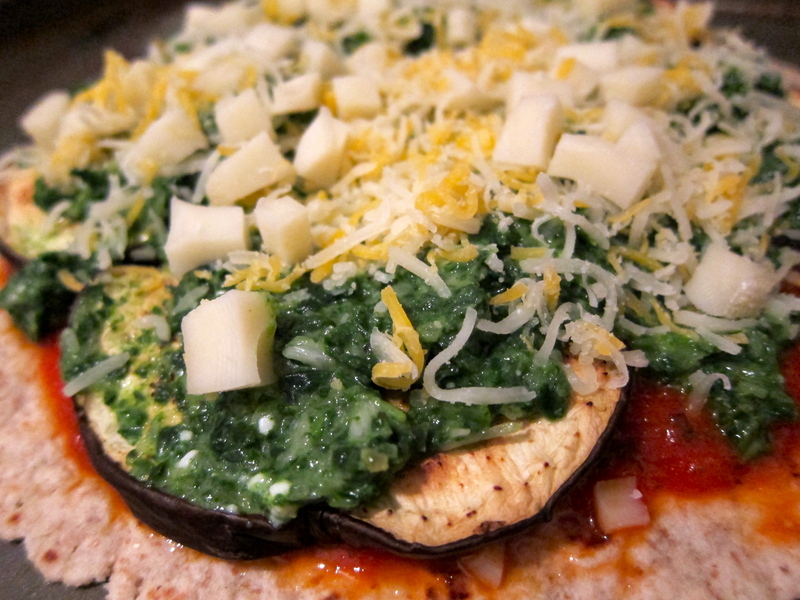 Next, spoon on the spinach/garlic/onion spread over the eggplant to coat. Finally, toss with cheese to your heart’s content! I used a mixture of shredded cheddar blend and diced Jarlsberg. Ready to pop this baby into the oven! Bake until cheese starts to melt, and enjoy! Yep, I ate the whole thing (and then some). Gotta get my veggies in! Now, off to do a long run of 13 or 14 miles (in the sun!) before heading to my friend’s apartment to watch the Super Bowl later this afternoon. I promise you my Super Bowl eats will not be nearly as healthy as the ones above, but that’s A-OK with me 🙂 I don’t even like football, just going for the company, food and beer! Do you like reading others running logs? 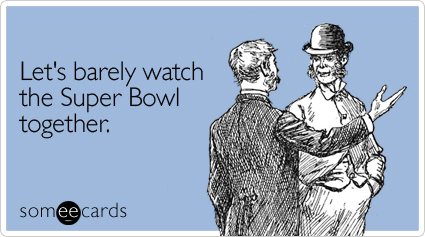 What are your Super Bowl plans? ← Icing NYC & Free Food! your oatmeal & pizza look so delicious! I had no idea how to train for my first marathon in December, I kinda just ran around and hoped I was ready! This year I’m definitely calculating mileage and adding pace-specific work! I hope youve been having a great weekend! Oh my gosh, the rock shrimp from Nobu is one of the best things I’ve eaten in NYC. So glad you were able to enjoy Restaurant Week. I love it! I MUST have that pizza asap!! I LOVE your new tab and you rocked the week mileage even when not feeling good and being cold!! Have a great day! Lead Legs & Hooked on Sandwiches « Run, Lindsay, Run!